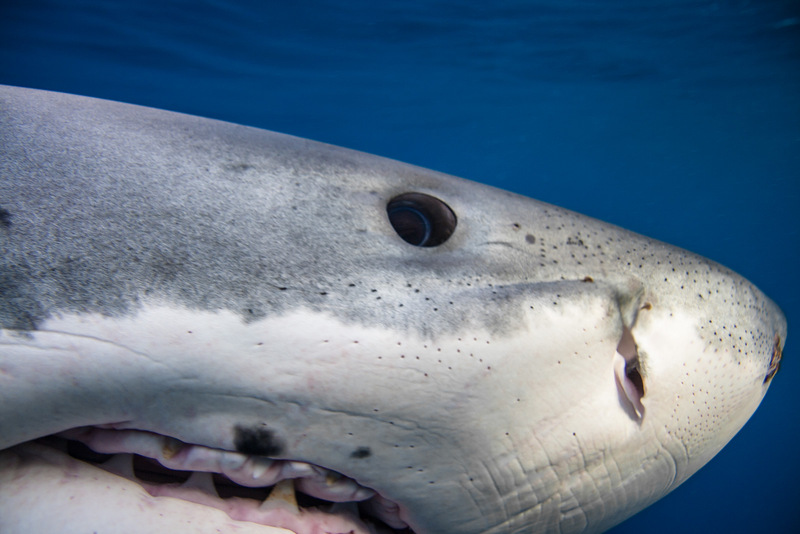 A close-up of the eye, mouth and snout of a great white shark (Carcharodon carcharias). 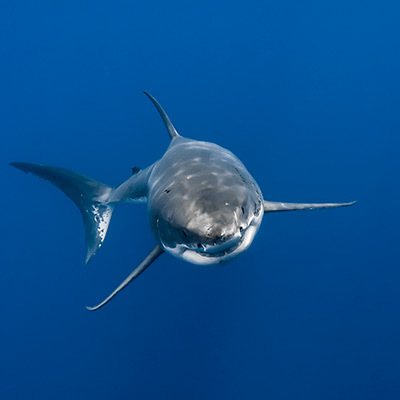 You can clearly see the shark’s blue iris looking down at the camera in this shot. 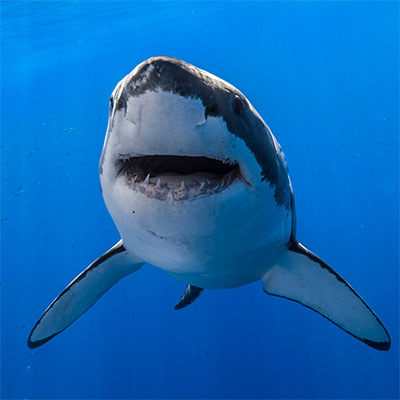 The small dots on the shark’s snout are ampullae de Lorenzini, sensory organs that detect electrical fields. At the tip of the shark’s snout is a small cluster of parasitic copepods.